Yogi Bear and company are back again. Everybody’s smarter than the average bear returned last month thanks to Hanna Barbera and Warner Home Video’s re-issue of the classic Yogi Bear Show on three-disc DVD collection. This latest return for Yogi, Boo-Boo and their friends Snagglepuss and Yakky Doodle is not a bad re-issue, but it is not perfect. On the good side, the series is presented in whole in this three-disc collection. On the bad side, the set’s packaging is problematic. It will be discussed later. It is thankfully the only truly noticeable negative to the set’s new presentation. Its average price point is another positive, and will be discussed later, too. Each element is important to note in its own right to this collection’s presentation. 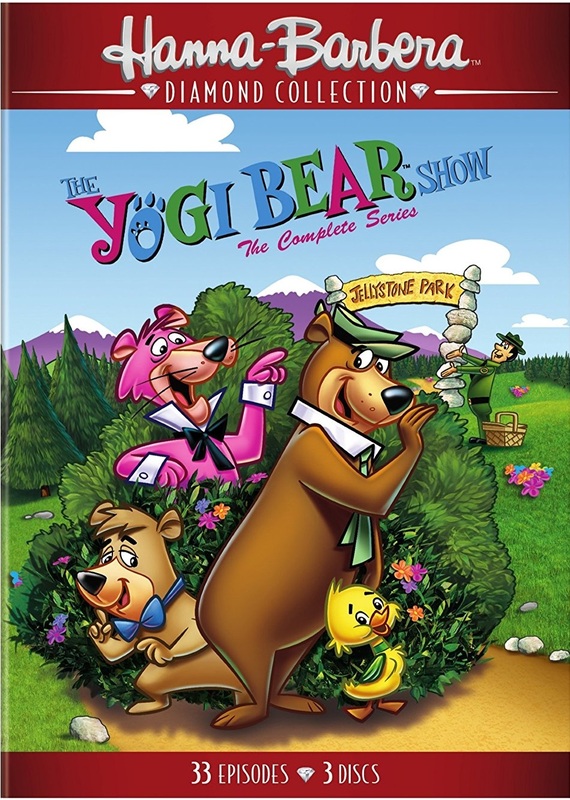 All things considered, this latest Yogi Bear Show re-issue is worth the purchase among classic cartoon (and television) buffs who do not already own the series’ original 2005 release. Hanna Barbera and Warner Home Video’s recent DVD re-issue of The Yogi Bear Show is a good collection for any of the show’s fans who might not already own the series’ previous 2005 DVD box set. The same can be said for any classic cartoon and television buffs who don’t already own that noted release, too. That is due in part to the episodes presented in this set. Audiences will be happy to know that presented here, is The Yogi Bear Show in its entirety. All 33 episodes that made up the series’ two short seasons are here including the shorts from Yogi’s pals Snagglepuss and Yakky Doodle. Audiences are given the option of playing the episodes straight through or one at a time on each disc. The episode menus are basic to say the very least. The listings are set against a black background along with the set’s box art. There are no bonus materials to go through either. Keeping this in mind, even with the set being a bare bones presentation, the fact that it features the series in whole (with the episodes sounding and looking great) does plenty to make up for those other minor shortcomings. That being the case, the presentation of this classic series in its entirety here is the foundation of the set’s presentation. It is not the set’s only positive either. Before getting to the set’s second positive though, it is imperative to discuss the set’s most noticeable negative—its packaging. The packaging used for The Yogi Bear Show’s recent re-issue is the set’s only major negative. That is because of the seeming lack of care, concern and thought that was put into this element. The three discs across which the series’ 33 episodes are spread are stacked one on top of the other on a single spindle inside the box. Considering the fact that Hanna Barbera and Warner Home used a much wiser, albeit slightly more bulky (but still wiser) packaging in the series’ previous DVD release (and those of its other series), the clearly lazy packaging used here is disappointing. Having all of the set’s discs on a single spindle is the kind of tactic one would only expect from the likes of Mill Creek Entertainment. Though, Warner Home Video has made its share of mistakes in the past couple of years or so not only in packaging but in other aspects of its home releases. That only makes this error from the company even more disheartening, since it increases the chance of the discs being marred by one another. Thankfully though, it is the set’s only major negative. Keeping that in mind, the next logical step here is to examine the set’s second positive, that being its average price point. The average price point of Hanna Barbera and Warner Home Video’s recent re-issue of The Yogi Bear Show is important because of the set’s content and its packaging. This critic used Target, Best Buy, Wal-Mart, Amazon and WB Shop in order to obtain the set’s average price point. Adding their prices and averaging them, the set’s price point averages to approximately $16.36. Its highest price is interestingly enough at the WB shop while Wal-Mart offers the most reasonable price at $14.96. That is especially being the case that so many Wal-Mart stores nationwide offer the series’ set in stores, meaning not having to worry about the additional price for shipping and handling. Best Buy and Target do not guarantee its availability in stores. That means even Target’s price mark of $13.89 does not include s&h, which, if the set is not offered in stores, would push up that price point even more. Target seems to be carrying in store, Josie & The Pussycats: The Complete Series, The Smurfs: Season One and The Flintstones: Season One. This again makes Wal-Mart’s average price the most cost-effective. Even with that in mind, the set’s overall average price point is still not that bad. Keeping that in mind, it is yet another reason that audiences who don’t already own the series’ 2005 DVD release will want to pick up this set. When it is set alongside the set’s episode presentation and that one problematic issue of the set’s packaging, the whole still proves to be a relatively enjoyable presentation. Earlier this year, Warner Brothers’ home entertainment division released another installment from Hanna-Barbera’s beloved Scooby-Doo franchise when it released Scooby-Doo! And Scrappy-Doo: The Complete First Season. It marked the first time ever that what was essentially the fourth season of Scooby-Doo, Where Are You? has seen the light of day. Go figure it is also the “series'” only season, too. Considering all of this, Warner Home Video is to be commended for finally getting this collection of episodes out on DVD at long last. While the studio and its home entertainment division are to be commended for finally getting these episodes out to the public, they are also deserving of certain darts as this collection is anything but complete. Considering its pros and cons together, Scooby-Doo! and Scrappy-Doo: The Complete Season 1 is one of this year’s best new box sets for children and families. But it is far from being the year’s absolute best. Scooby-Doo! and Scrappy Doo: The Complete Season 1 is a good new release from the people at Warner Brothers’ home entertainment division. However, despite its title, it is far from being complete. The negatives that keep it from being complete will be discussed shortly. For the moment, though the focus will be on at least one of the set’s positives–the presentation of the “series” full sixteen episode run. Audiences get in this new double-disc presentation all sixteen episodes from Scooby-Doo and Scrappy-Doo’s original run on television in the fall of 1979. And they are presented in their original format, too. The inclusion of all sixteen episodes shows that the people at Warner Home Video (WHV) cared at least about that much in bringing these episodes to fans. This is important to consider because there are companies out there that would look at this and try to capitalize as much as possible by splitting the collection into two separate boxes. That would in turn potentially cost consumers more and take up more space on audiences’ DVD racks. But because WHV didn’t go that route, consumers lucky enough to find the box set in stores only have to pay a one time fee of roughly ten to fifteen dollars for a box set that only takes up as much room on a DVD rack as a single disc DVD box. So not only does its full release benefit consumers financially but ergonomically, too. To that extent, the “series” starts off on the right foot. However, taking a deeper look at the set, it shows to be anything but the complete collection that it is advertised to be by its title. Scooby-Doo! and Scrappy-Doo: The Complete First Season is a good addition to any Scooby-Doo fan’s home DVD library. That is especially thanks to not only the fact that the “series” full-sixteen episode run is included here but it is featured at a relatively reasonable price and takes up minimal room on audiences’ DVD racks. Even as many positives as it boasts on the surface, it proves, with a closer examination, to be anything but the complete series that WHV boasts it to be on the box’s cover. All sixteen episodes are there. There’s no denying that. And while both William Hanna and Joe Barbera have both passed away along with most of the original Scooby-Doo voice cast, Frank Welker (The Real Ghostbusters, Curious George, Aladdin) and Heather North (Scooby-Doo and the Legend of the Vampire, Scooby-Doo and the Monster of Mexico, Scooby-Doo Goes Hollywood) are both alive as are likely others associated with the show. It would have been nice to have at least some bonus interviews with Welker, North, and others linked to this “series.” It would have been nice to have at least some form of interviews considering the reason for the re-branding. According to most sources, the whole purpose for Scooby-Doo, Where Are You? being re-branded and expanded in terms of its cast, was to boost sagging ratings. It would have been interesting to learn why viewers’ tastes were changing at the time that the ratings were beginning to fall, and which shows were beginning to grab said viewers’ attention. But none of that history is presented to audiences. And in turn, it takes away quite a bit from the set’s overall viewing experience. It is just one of the cons that weigh down this presentation, too. It would have been nice to get at least some retrospective on the significance of Scooby-Doo to American pop culture both then and now, especially considering that the beloved canine is included seemingly every year in Macy’s Thanksgiving Day Parade. Again, no insight is offered there or in any other fashion. considering that WHV is trying to market Scooby-Doo not just one target demographic but viewers of all ages, not having any of that background on this latest “series” or the Scooby-Doo franchise in whole takes away so much here especially being that none of the franchise’s previous collections offer any of those bonuses either. The lack of any background on the significance of the Scooby-Doo franchise in yet another of its installments is a huge con to its presentation. It does nothing but a disservice to the legacy of this beloved franchise. It is just one of the cons that weighs down Scooby-Doo! And Scrappy Doo: The Complete Season One. On another level, the general lack of effort displayed in presenting the set’s discs takes even more away from the set’s overall viewing experience. Those responsible for providing the discs’ artwork just took a couple of images from the show, placed one on one disc and the other on the set’s other disc, and then splashed each in a dark purple covering. WHV has taken much the same approach with other recent releases such as its box sets containing the original Batman TV series episodes. The discs presented in those sets just presents the original series logo splashed with a near neon green covering. It completely smacks of laziness and creativity. And the fact that it has happened yet again with Scooby-Doo! And Scrappy Doo: The Complete Season 1 only leaves one wondering who is in charge even more at WHV. Yes, it is just a cosmetic thing on the surface (no pun intended) but despite the old adage about judging something by its cover, something as simple as a DVD/Blu-ray disc’s artwork can and does play a big part in a company being able to sell its product. So to that extent the artwork (or lack thereof in this case) plays just as much of a role in the overall presentation of Scooby-Doo! And Scrappy Doo: The Complete Season 1. It makes this collection of episodes that much more incomplete than complete. If the issues noted here are not enough to prove how incomplete Scooby-Doo! 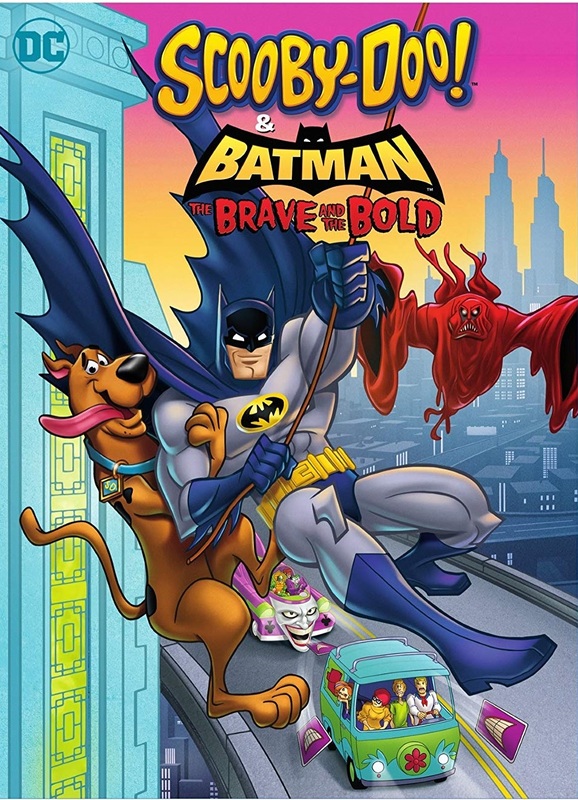 And Scrappy-Doo: The Complete Season 1 is, then the issue of its episode listing will surely solidify the argument that this set is anything but complete. to the credit of those at WHV, the “series'” box set does come with an episode listing. However, the listing in question is printed on the back of the case along with the description of the series’ highlights. It even notes clearly which episodes are on which disc. Again, kudos are in order here. However, one cannot ignore the fact that the listing is just that, a listing. There is no companion booklet included in the collection offering even the slightest summary for the presented episodes. Because of this there is also no credit given to the show’s writers. To some this may seem insignificant. But to those people who are interested in such an element it plays just as important a role as knowing which producer(s) manned the boards for a given act’s album. Having such knowledge deepens the understanding and appreciation for an act’s work and for that of its producer(s) throughout their careers. In much the same fashion, knowing who was responsible for a given TV series’ writing plays just as much of a part in appreciating the storylines of said TV series. So on that level, the fact that once again WHV has failed to include a companion booklet with any episode summaries or other important background information takes even more points away from this set and shwos even more just how incomplete this collection proves to be in the end. While Scooby-Doo! And Scrappy Doo: The Complete Season 1 shows clearly that it is anything but complete through its primary cons, it would be unfair to say that this latest release in Hanna-Barbera’s beloved Scooby-Doo franchise is a complete loss. For all of its negatives (some of which weren’t even touched on here) it isn’t a total loss. It can be said that thanks to the work of the shows writers, fans of all ages will enjoy all sixteen episodes presented here. Those that are true diehard fans will especially enjoy these episodes as they will see their blatant influence on later installments of the Scooby-Doo franchise. That is obvious right from the show’s opening episode “The Scarab Lives.” This episode sees a famous comic book creator “haunted” by his own creation come to life. Of course as everyone knows, there’s no such thing as ghosts, right? RIGHT?! The identity of the Blue Scarab won’t be revealed here. But this episode was obviously a direct influence behind no fewer than two episodes crafted for A Pup Named Scooby-Doo. Those episodes are “The Schnook Who Took My Comic Book” and “The Return of Commander Cool.” In the prior of the episodes, Shaggy’s mint condition original copy of “Commander Cool” #1 is stolen by one of Commander Cool’s enemies. Or is it someone else? The latter of the episodes finds an alien slug stealing the plans for Commander Cool’s moon base toy. The reveal in regards to the real thief is a direct throwback to ‘The Scarab Lives.” On another level, “Rocky Mountain yiiiiii!,” which comes from Scooby-Doo! And Scrappy Doo: The Complete Season 1, could be argued to be the influence behind “Snow Place Like Home,” also from A Pup Named Scooby-Doo. The latter of the two sees Scooby and the gang on a skiing vacation in the mountains. While there, they encounter an ice monster bent on getting a kind couple out of its home. The prior episode, “Rocky Mountain yiiiiii!” sees (again) Scooby and company on a skiing vacation to the mountains. In the case of this episode, they come face to face with the ghost of one Jeremiah Pratt. It turns out that Pratt is searching for his pot of gold. Sounds familiar, right? Exactly. To a slightly lesser extent, it can be argued that “The Story Stick” (A Pup Named Scooby-Doo) is a variation on “The Hairy Scare of the Devil Bear” (Scooby-Doo! And Scrappy-Doo). That is because both stories are centered on Native American culture. “The Story Stick” finds the young members of The Scooby-Doo Detective Agency having to figure out who is behind a living totem pole that is scaring everyone away from the sacred land. The earlier series’ episode finds the members of Mystery, Inc. going toe to toe with a demon bear that is haunting caves on a reservation around the Grand Canyon. It’s one more way in which the writing behind Scooby-Doo! And Scrappy-Doo: The Complete Season 1 proves so entertaining and important to consider. Of course that isn’t to say that every episode gave rise to episodes in every “season” of Scooby-Doo to follow. Regardless, the writing behind this series still shows in plenty of ways to be quite entertaining for viewers. And together with the set’s previously noted pros–its cost effectiveness and complete episode presentation–the set in whole proves to be another welcome addition to any Scooby-Doo fan’s home DVD library. But it is far from being complete or the best of the year’s new family friendly box sets. Scooby-Doo! And Scrappy-Doo: The Complete Season 1 is available now in stores and online. 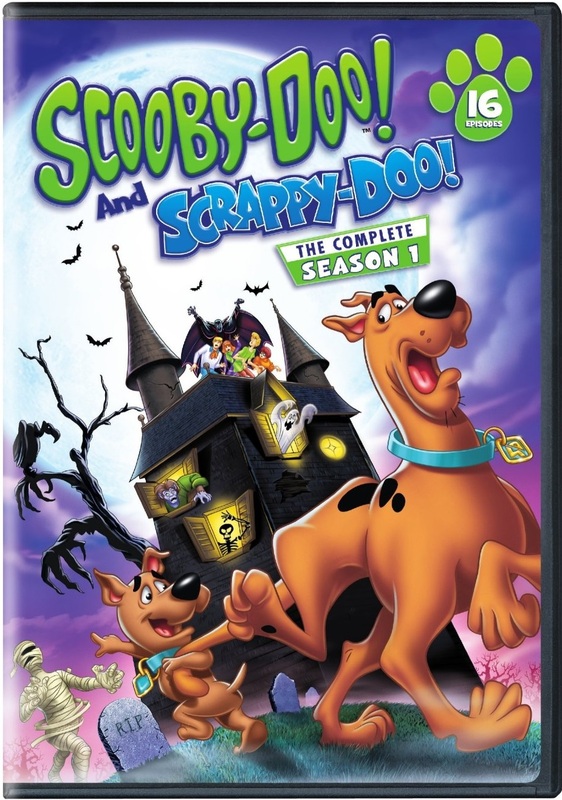 It can be ordered direct via the official WB store at http://www.wbshop.com/product/scooby-doo%21+and+scrappy-doo%21+the+complete+first+season+dvd+1000542731.do or via Amazon at a lower price at http://www.amazon.com/gp/product/B00TEYPUIK?keywords=scooby%20doo%20and%20scrappy%20doo%20season%202&qid=1444585474&ref_=sr_1_4&s=movies-tv&sr=1-4. All good things must come to an end…or must they? Thanks to the good people at Warner Brothers Home Video, fans of the modern classic cartoon, Animaniacs, the laughs never have to come to an end now that the show’s fourth and final volume has finally seen the light of day. This latest volume of episodes is just as entertaining as the show’s previous volumes. The writers take no prisoners, going after everyone in pop culture from Disney and Hanna Barbera to Universal and even Fox. They’re not the only victims of the show’s witty writing. Even the best movies in Hollywood’s modern history aren’t safe as the show goes after the likes of The Maltese Falcon, Mary Poppins, and even The Sound of music just to name a few. And that’s just on the set’s first disc. The second and third discs are just as top heavy with laughs. Audiences will love that the show’s writers make a farce of all the serious TV specials out there with its very own “Very, Very, Very, Very Special Show.” The set’s third disc even includes a little holiday flavor in “The Christmas Tree.” Everyone’s favorite sour squirrel Slappy, takes center stage here. Her constant delivery makes for so many laughs. The jokes are nonstop throughout all three discs of this outrageously hilarious cartoon. They’re just part of the show’s continued enjoyment. Along with nonstop laughs provided by the razor sharp comedy, the show also continues to show heart throughout various episodes as well as some educational content believe it or not. “Multiplication Song” teaches math and pokes fun at how drawn out it can be in the same breath. It’s that same brand of comedy established with shorts such as “Chalkboard Bungle”, “Planets Song” and “The Senses” (all from Season One). Audiences will love this continued tradition just as much as the show’s other laughs provided throughout all three discs in this set. Animaniacs Volume Four offers audiences laughs from beginning to end in every short. Those laughs wouldn’t have been possible without solid writing and equally solid performance by the show’s cast who return once again in this final set of twenty-four episodes. Mauriche LaMarche (The Simpsons, Futurama) is back yet again as the voice of The Brain. And fellow veteran voice actor Frank Welker (Scooby Doo, The Real Ghostbusters, Tiny Toon Adventures, etc.) returns yet again as the voice of the dopey security guard Ralph, the equally dopey dog Runt (whose spoof of Dustin Hoffman’s Rain Man character Raymond Babbitt is as hilarious as ever), and many others. And even Tress MacNeille (The Simpsons, Futurama) is back once more. Having the whole team back again is a huge win as the chemistry built between cast members is a big part of its ability to effectively interpret the scripts and make them entertaining both for kids and parents even years after the show’s end. The voice acting, the jokes, and heart from the first three volumes of Animaniacs episodes all remain in Animaniacs Volume Four. There is one other factor that makes this show timeless. That last factor is its animation. Yet again reference must be made to the difference in today’s computer generated “animation” and that done by hand from actual human animators. The animation that was a trademark of Animaniacs in previous seasons is just as solid in this new release. 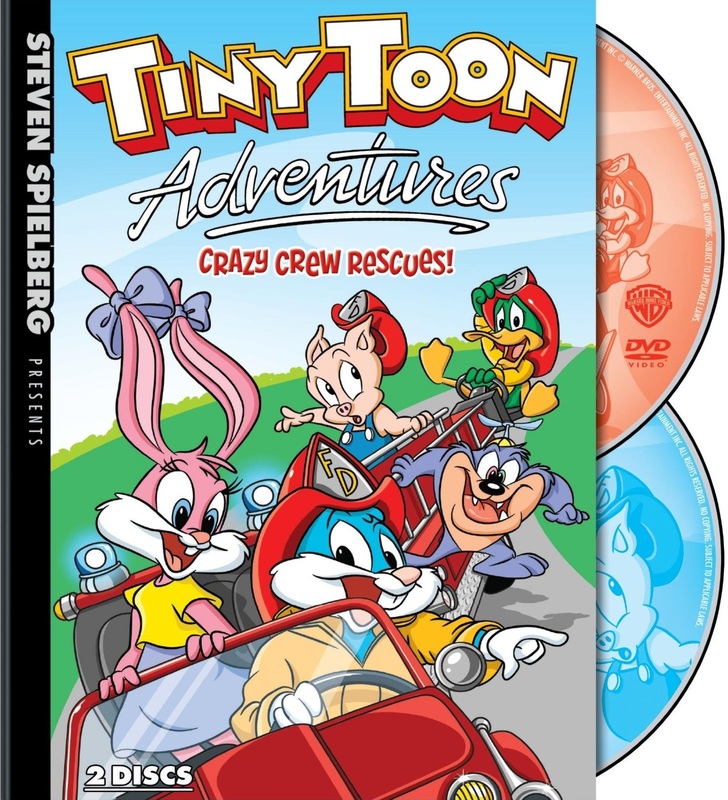 Save perhaps for Steven Spielberg’s other hit cartoon, Tiny Toon Adventures no other shows looked like this one. It really served as one more factor in developing the show’s identity, unlike so much “animated” content out there today. Combined with the show’s comedy and its heart, its animation goes into making this a wonderful way for this wacky show to go out. It’s available now in stores and online. 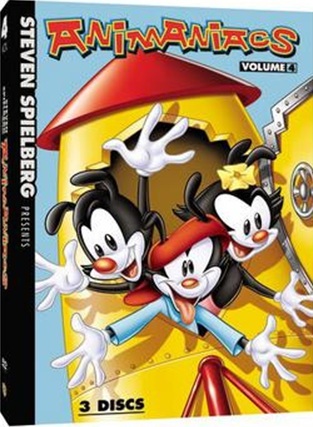 It can be ordered online direct from Warner Home Video’s online store at http://www.wbshop.com/product/steven+spielberg+presents+animaniacs+vol+4+1000023671.do?sortby=ourPicks&from=Search. Clifford the Big Red Dog is turning fifty years old. Unbelievable! Everyone’s favorite oversized furry friend is celebrating his birthday with a brand new DVD release next month. Celebrate with Clifford is the first new Clifford release in two years. It will be available in stores and online February 5th. The new release is a special double disc release loaded with lots of fun, family friendly adventures from Clifford, his fellow canine friends, and his owner, Emily Elizabeth. 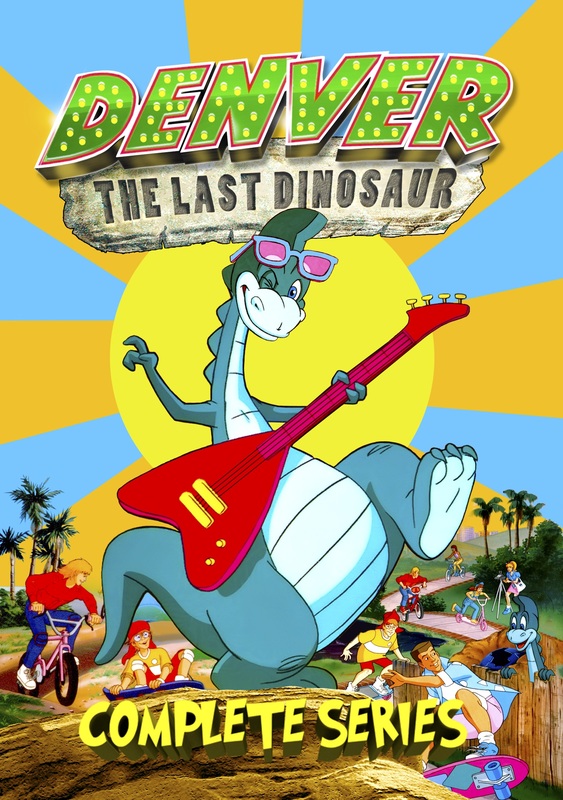 The two discs in this new release boast fifteen episodes from the hit series. 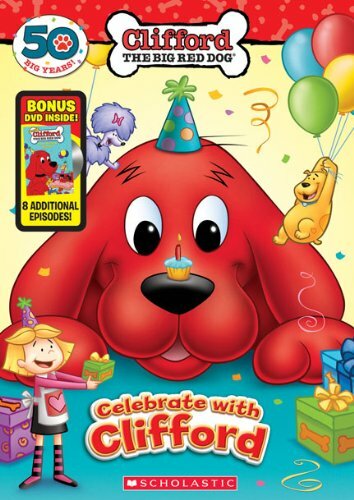 The set’s first disc, Celebrate with Clifford has seven of the show’s episodes included in the set. All of the aforementioned episodes included in the first disc are full of family friendly fun and important life lessons that ring true for audiences of all ages. Audiences learn a number of important lessons throughout the first seven episodes included in the set. In the episode, “Clifford on Parade”, Emily Elizabeth (Grey DeLisle—The Grim Adventures of Billy and Mandy) and Charley (Gary Leroi Grey—The Cosby Show) both learn about working together and about compromise when they have to decide on an idea for the float that they’ll enter in the town’s annual parade. Thanks to Clifford, they end up with one interesting float that even incorporates Clifford himself. In another episode, “Team Sprit”, young viewers are introduced to the lesson of good sportsmanship and being kind to others. The story here centers on young Vaz. Vaz is friends with Emily Elizabeth and the other kids. But he’s not the best soccer player. And Jetta doesn’t help as she openly tells Vaz he’s not that great of a soccer player. Of course she learns her lesson in the episode’s end. Audiences can find out how she learns her lesson when they check out this new DVD set for themselves. All seven episodes included in the set’s main disc offer plenty of enjoyment and lessons for viewers. Luckily for viewers, they’re not all that viewers get in this new set. The eight bonus episodes included in the bonus disc also offer their own enjoyment. Just in time for Valentine’s Day, there’s even a Valentine’s Day themed episode in “Clifford’s Big Heart.” In this episode, Clifford is trying to make a Valentine for Emily Elizabeth, but things don’t exactly go as planned. That is until he finally realizes the best idea for a special Valentine just for her. His special gift will warm the hearts of both kids and their parents. Still not enough? How about the birthday and party themed episodes included in the set? “Clifford’s Big Surprise” sees Clifford getting his very own birthday surprise from Emily Elizabeth, her parents and his canine friends. At first it seems like everybody is avoiding Clifford. It leaves Clifford bored since there’s no one to play with. Luckily he finds a way to play by himself. Ironically, it’s right about then that Emily Elizabeth comes looking for Clifford so she and the others can surprise him with his birthday party. It’s just one of a handful of birthday themed episodes included in the set’s bonus second disc. The complete double disc set will be available February 5th in stores and online. It can be ordered online direct via the Lionsgate online store at http://www.lionsgateshop.com/product.asp?Id=28180&TitleParentId=8311.